Siglon Soft. Discounts Apply ! With the new Siglon we have developed a line that is extremely supple, yet possess high pound test strength. This so-called Low-Memory-System facilitates an extremely natural bait presentation and prevents the line from curling or jumping off the reel. 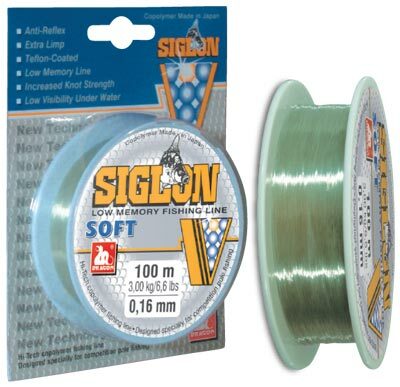 Even larger diameters of Siglon Soft run smoothly from the reel, even at very low temperatures. The ideal line for everyone who appreciates the advantages of a soft, supple line. Made in Japan.